The worldwide market size for magnetic sensors market is estimated to be USD 2,271.1 million in 2017 and is estimated to grow at a CAGR of 8.2% during the forecast period. The market growth for magnetic sensors is highly propelled by the mounting demand for magnetoresistive sensors by several end-user industries; the rising use of magnetic field sensors by the transportation sector; the increased use of magnetic field sensors in various consumer electronic devices including smartphones and tablets; as well as advancements in technology related to magnetic field sensors. Furthermore, the constant decreasing prices of sensors coupled with rising awareness among people and government for automobile safety has bolstered the market growth for magnetic sensors worldwide. 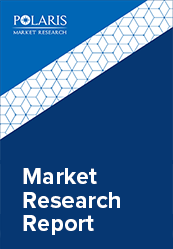 Moreover, with emerging features such as navigation and GPS as vital components in smart devices, the requisite for position and direction sensing sensors has further stimulated the market for magnetic sensors significantly and thus, the market is anticipated to account for USD 4,680.3 billion by 2026. During the past few years, application of magnetic sensors have increased across an extensive range of detection parameters, which includes linear position, measurement of current, linear speed, linear angle, rotation speed, rotation angle, and angular speed. Magnetic sensors enable measurement of these properties in many electronic system, without physical contact thus, magnetic sensors have turned out as an essential component in these systems. Also, the demand for magnetic sensors is experiencing a high growth with its increasing deployment in automotive control systems owing to increasing importance of anti-lock braking, infotainment systems, engine control management systems, and electronic stability control. Additionally, the growing propagation and adoption of sensors in hybrid and electric vehicles is further anticipated to provide prosperous growth opportunities to the magnetic sensors market during the forecast period. The global Magnetic Sensors market is segmented on the basis of type, technology and by end-user. The type segment is further bifurcated into Anisotropic Magneto-Resistive (AMR) Magnetometer, Giant Magneto Resistance (GMR) Magnetometer, Tunnel Magneto Resistance (TMR) Magnetometer, and Hall Effect. The hall effect segment of magnetic sensors is expected to account for the largest share attributed to the durability, versatility, easy handling features, and cost effectiveness of these sensors. Also, penetration of AMR sensors is anticipated to grow significantly during the forecast period with its extensive operating range and functionalities such as low power, inherently low hysteresis, and high linearity for enhanced measurement accurateness in comparison to Hall effect sensors. Moreover, the decreasing cost of magnetoresistive sensors with time is expected to further influence its market across various applications in the near future. Magnetic sensors are used in various applications across industries including automotive, industrial, consumer electronics, aerospace & defense, and others. Automotive end-user segment of magnetic sensors market is the accounted for the largest share in terms of revenues in 2016. In the present scenario of automotive industry, the use of magnetic sensors plays a crucial role in safety and driving assistance systems. Also, these sensors are considered as an important part of the hybrid and electric vehicles’ battery systems. Thus, the demand for these sensors is experiencing a tremendous growth by the automotive industry. Asia Pacific accounts for the largest share of magnetic sensors market currently and is anticipated to grow at the highest CAGR during the forecast period. The growth in Asia Pacific region is attributed to constantly increasing demand for several consumer electronics such as smartphones, laptops, and cameras, as well as presence of huge consumer electronics manufacturing industry in China. Major industry players include Elmos Semiconductor AG, Baumer Ltd., Honeywell International, Inc., Robert Bosch GmbH, NVE Corporation, Allegro Microsystems, Inc., Infineon Technologies AG, Melexis Corporation, Austriamicrosystems AG (AMS), and NXP Semiconductors.